Treat your outdated bathroom to a brand new look at BATH FITTER of Mid Atlantic, where we offer a great selection of acrylic bathtub liners, shower surrounds and tub-to-shower conversions! In 1997 the Gross family opened their first Bath Fitter franchise in the Harrisburg, PA area. Over the next decade, business continued to expand and today we are happy to serve over 20 locations throughout eleven different states! A Commercial division has also been incorporated to offer the Bath Fitter product to large scale jobs such as hotels and nursing homes. The Bath Fitter brand has become synonymous with beautiful, affordable bathroom remodeling. Coverage now consists of Maryland, Washington DC, Northern Virginia, and beyond, and Bath Fitter is proud to be the #1 Bathroom Remodeler in the US for ten years a row according to Qualified Remodeler Magazine! Start designing your new bathroom here, or schedule a free in-home consultaion today. Click here to contact us, or call BATH FITTER of Mid Atlantic at 1-800-594-8776. 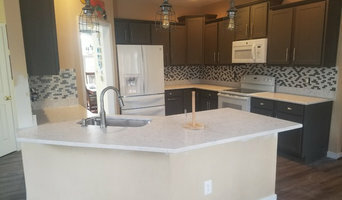 Kitchen & Bathroom renovation contractors. All flooring types, plus kitchen and bath remodels. 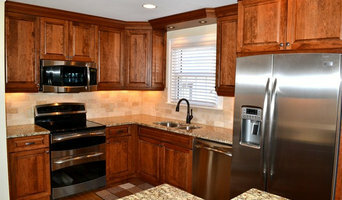 We design, renovate and remodel kitchens & bathrooms.